Scott’s 12th studio project, Don’t Call Me Angel, is releasing on the 20th anniversary of her brother’s death. It is an incredibly poignant project for Hilary. It represents some of her finest songwriting, crafted and honed during a period of time in which Scott was commissioned by fans to write or re-arrange more than 20 songs. Hilary was fully in command of this project, acting as producer and also hand-picking the studios and musicians with whom she wished to work. Relying on her husband and percussionist AJ Gennaro, and longtime bandmate Josh Schilling to join her as the core ensemble for this record, Hilary chose Sawhorse Studios in St. Louis to record all of the rhythm tracks. Having worked previously with the multi-Grammy-award-winning Johnny Lee Schell at Ultratone Studios in Studio City, Hilary knew she wanted to spend several days with him focusing on recording vocals and arranging harmonies. Johnny Lee Schell (guitars) and Mike Finnigan (Hammond B-3 organ) – who have toured and recorded with artists as varied as Bonnie Raitt, Jimi Hendrix, Leonard Cohen, Etta James, and Taj Mahal, to name a few – appear on more than half the songs on this record. Scott has always bent the rules when it comes to genre and songwriting style. As Aarik Danielsen of the Columbia Daily Tribune notes, “singer-songwriter Hilary Scott has been a reliable road warrior and something of an international darling, taking her talents to Asia, Europe and various other points across the United States in search of artistic satisfaction and in service of her songs. Amid a melange of time zones, international date lines, languages and suitcases, Scott has earned the trust of her audiences through the power of her soulful voice, an instrument which has not only united these disparate settings but also distinctive genres such as pop, rock, blues, and jazz”. 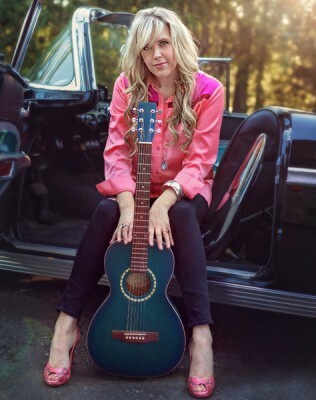 Hilary Scott’s career has included co-writes with some of the best living songwriters, tours in the U.S., U.K., Europe and Asia, various awards, and with the help of indie label Belltown Records, the release of a dozen albums. Her music has been included in viral videos, such as in the rescue video of Gideon the pit bull, which was featured on Huffington Post, the L.A. Times, and various other domestic and international publications. Recently, her single “Still” has been receiving such significant radio and satellite airplay, that both Amazon and Pandora have reached out to her publishing company for the rights to include it in their music distribution services. Don’t Call Me Angel, the title track to this release, will also be the focus of Hilary’s second official music video, being filmed by Raven’s Eye Studios on Harstine Island in the south Puget Sound. April and Joseph Assi of Raven’s Eye Studios are also partners with actor Tom Skeritt and his production company Hey You Media. While reaching fans one on one and connecting through her music has always been of utmost important to Hilary, she also loves to teach piano, guitar, voice, violin and songwriting to young students when not on the road. She believes that music is the most visceral and honest vehicle for communication, and considers music education vital for social, emotional, and cognitive growth. Just as she hopes to send listeners home from her performances having touched their lives in some small way, she seeks to touch future generations by passing on an appreciation of music, and its undeniable importance to humankind. Her voice has been described as “absolutely extraordinary in its emotional greatness”(Italian producer Euro Ferrari) and she uses that voice to writes songs that hit where it hurts so good: the hearts and minds of a steadily growing and extremely loyal fanbase.